Craft beer is a drink enjoyed by a wide spectrum of people across the globe. With such popularity it is not surprising that people enjoy their favorite drink in a myriad of different ways. Which type of CraftiBeer drinker are you? You love to drink with others, if you have a drink in your hand then you are sharing the experience and chatting in equal measures. When your beer crate arrives you are on social media telling everyone about your next discovery of tastes and flavors. Good or Bad the reviews are plentiful, you don’t hold back when it comes to telling the world and inviting your fellow drinkers over to try you next set of beers. You have embraced the world of Craft Beer and nothing will get in the way of your new box being delivered. Your repertoire of taste has seen vast expansion since starting your CraftiBeer experience. You relish the whole experience from the opening of the case to reading the label and digesting all the brewer has written. You inhale deeply when the lid has been lifted and watch with tantalizing delight as you pour at a perfect 45 degree angle into a chilled glass and watch as the sediment settles as good things come to those that wait. You are fearless with your taste discovery, you dive straight in to your beer box and chill them down to the perfect serving temperature. Then you reach into the fridge like Peter Duncan in the Russian roulette log scene from Flash Gordon, not knowing what you might find inside. You pull out a beer without even looking to see whether you have a porter or an IPA and you are underway. As you take your first sip you are overwhelmed with enjoyment that your exploration of new tasting craft beer has taken another direction. Your choice was perfect and you fill yourself with self praise for making the right choice. Craft beer is a time to relax, unwind and forget the hustle and bustle of the world. The experience of opening the case of beer is a time to unwind, forget about the worries of the day. You can feel the calmness washing over you as you take the cold vessel from the fridge. Your in the knowledge that once you see that cold amber nectar flowing gracefully into the glass like a gentle waterfall that all will be well in the world. The mild aromas waft gently up to fill your lungs with a distinguished smell of rich fruits and hoppy flavors. You know that this isn’t just going to be a new beer to try, its going to be a a journey of discovery as your mind wanders with the taste of the beer dancing on your taste buds. Famously once stating that ‘Milk is for babies. When you grow up, you have to drink beer.’ You believe that Craft Beer is the only refreshment worthy of an evening in, anything else is a lesser drink. If anyone comes to visit the offer of a drink starts with an ice cold IPA, progresses to a wheat beer and ends with a porter. The fridge was designed to hold your box of craft beer and food is a necessary inconvenience which fits in around your bottles. You enjoy the robust tastes of a British beer. You don’t deviate from the gold standard of beer that has been lovingly brewed in lands of luscious green. 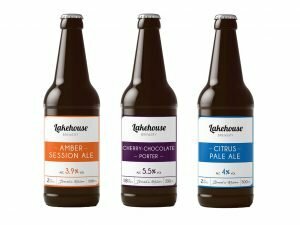 The British Isles produces prestigious full bodied craft beer which sets its self up as a medal winning contender against any other challenger. These lands hold such hidden promise that there is always another beer to discover without the need to get your feet wet by leaving these shores. The mere thought of a foreign brew sends shivers down your spine. Your next box of beer holds the promise of what put the Great in Britain. So many choices and uncertain which will be best one to pour first. Will it be the light fruity golden ale full of eastern promise or the dark familiar daunting beer that clings to the side of your glass like only a rich brooding stout can do. Will it be the calling of the citrus zest that cuts through the hops and delivers a refreshing overtone or the zing that can only be acquired with an American hop. Decisions decisions, so many choices and so may beers to try. Which will compliment the food you have prepared and which will offer that kudos that you are searching for. The only decision is which one to try next? Needless to say which ever type of drinker you are, we offer something for everyone. No two beers are the same. 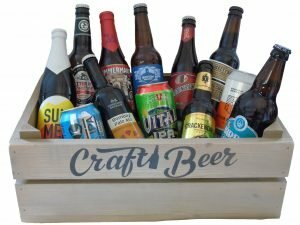 We at CraftiBeer hand pick a compliment of beers each month that offer choice, distinction and the opportunity to try something new from the best well know and less known breweries from around the world. Subscribe today and you too could become an esteemed connoisseur of Craft Beer.